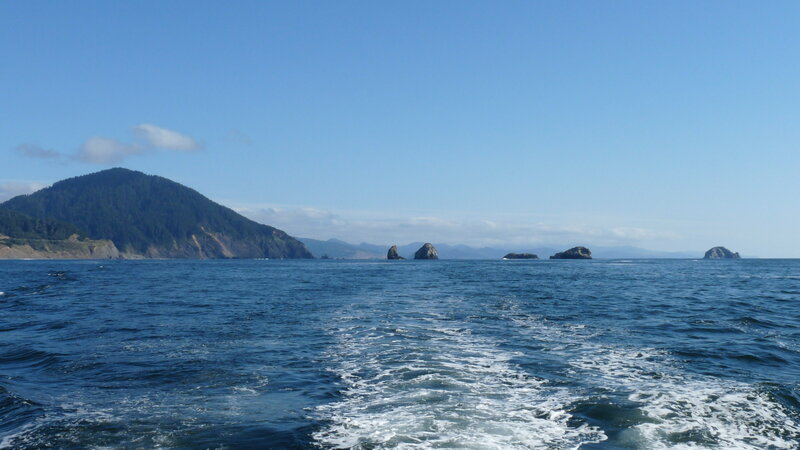 The Coast of Oregon is an incredible place, comprised of small communities and great natural features and resources. However, there are significant differences between regions of coast including the number of visitors, industry and how the communities are choosing to manage their futures. It can be helpful to learn, even experience, other communities to understand their success, even their mistakes and lessons learned so that customized solutions can be developed by our Oregon Coast communities with partners and in collaboration with each other. Below is an excerpt from an article (link to full article at bottom) that describes a project I have been aware of for many years and watched with pleasure as its success grows. The location is different but the concepts may be quite helpful for the Oregon Coast. The Pennsylvania Wilds, which grew out of Lochner’s vision of urban residents driving to enjoy the elk and natural landscape of the area, has become an ecotourism success story. “We wanted to deliver all the assets we have to all Pennsylvanians in a place-based approach that makes public lands an economic and community asset,” said Cindy Adams Dunn, secretary of the Pennsylvania Department of Conservation and Natural Resources (DCNR). Initially, residents whose property was surrounded by public lands felt that the restrictions on the land limited the area’s economic potential. But the county planning offices in the 13-county area saw the public land as an asset. One-quarter or more of the state parks are in the region, plus 3.1 million acres of state forest land. The Civilian Conservation Corps was active in the area during the 1930s, and conservation was always a high priority. That was before logging destroyed much of the area’s natural beauty. But Gov. Ed Rendell, who served from 2003 to 2011, saw the value of bringing the land back, making it into a destination for outdoor recreation. To make the region accessible to visitors, the state has spent close to $130 million over the past decade to upgrade the infrastructure. That included everything from improving the roads and signage, to building hiking trails along old railroad beds, to building modern restrooms. The aim was to create a regional destination focused around ecotourism assets. One major asset is the elk, the largest free-ranging herd in the Northeast. Visitors can learn more about the elk at the Elk Country Visitors Center that has been built in the small town of Benezette, Penn. Another asset is the dark sky natural to a rural area and pronounced in the Pennsylvania Wilds because of the isolation. The National Aeronautics and Space Administration and the National Oceanic and Atmospheric Administration declared the area the number one place for stargazing east of the Mississippi. Now Cherry Springs State Park has observation domes and astronomers teaching visitors how to photograph the night sky. One key to the project’s success is state officials’ efforts to engage local residents, said Meredith Hill, who works in DCNR as director of the Pennsylvania Wilds. “That’s an area of the state that’s never done strong zoning,” said Hill. “But the planning office of the country offered a lot of assistance.” The office created a design guide for the community, asking residents what they want their community to look like and what story they want to tell to visitors. For instance, the exhibits in the Visitors Center talk about lumbering as an important part of the region’s history. The region has some of the most valuable hardwoods in the world, and the cherry wood is exported to China as part of an effort to diversify the economy, Hill said. “When the Pennsylvania Wilds started, it was all about tourism,” said Dunn. But planners learned that boosting tourism should never be at the expense of the community’s wishes. Today, visitors spend an estimated $1.7 billion annually in the Pennsylvania Wilds. Between 2009 and 2014, the latest data available, visitor spending grew an average of 33.7 percent; tourism employment grew 13.4 percent, and labor income from tourism jobs grew 26 percent. What advice would Dunn and Hill have for other state and area officials who want to market an area as an ecotourism destination? “Understand the natural assets you do have,” said Dunn, “a river system, an old rail trail, state parks that have a theme and could be connected.” It’s important to work with community members. Then, figure out current visitor numbers and how you can enhance them, market the region and bring new people to the area. The Redfish Rocks Community Team is hiring! Want to make a positive, meaningful, and lasting contribution to your community? So do we. Come work with us! We are an ambitious bunch, headquartered in the heart of the Southern Oregon Coast, in Port Orford, Oregon. We play hard, but we work hard too. The Redfish Rocks Community Team strives to support the success of the Redfish Rocks Marine Reserve and Marine Protected Area through community engagement and effective partnerships. The Executive Summary is presented below. travel industry GDP are provided at the state level. all measures of travel activity were up over 2016.
overnight person-trips have increased by 2.2 percent per year. increased by 1.3 percent for the year. 3.2 percent per year since 2010.
agriculture/food processing and logging/wood products).